Sometimes you just need a little bit of magic to help you through your day. Sometimes just knowing that it's available is enough... 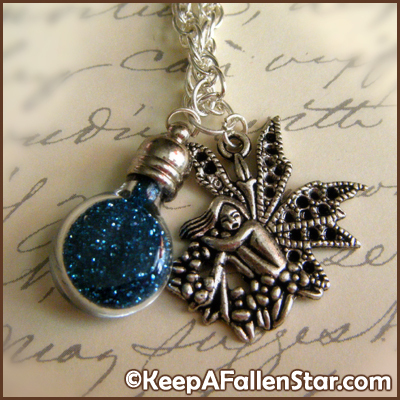 Either way, one glance at this glittery magical bottle and fairy token is bound to lift spirits and cast you in the right direction!